We went together to meet Ayhan Cetin the CEO of the Turquoise Harmony Institute. He told us that this year the Institute invites people motivated to inter religious dialogue to share the breaking of the fast in a Muslim family. Toni had already gone with the Institute to visit Turkey. We said it is a very good project and emailed the invitation to Catholics who might be interested. Toni went to such an iftaar and was delighted meeting such a diversity of people. So I asked Michel Meunier of Canada and George Okwii of Uganda, my two fellow priests in Edenglen if they would be interested in such an invitation. They answered without hesitations. Then I registered on the Facebook page of the Institute and received an answer within the week with the professional assistance of Ayhan and his secretary. The 12th June at 17:30, we arrived at Sermin and Turker Isler’s flat not far from Nizamiye mosque. We were immediately warmly welcomed by them and three neighbours. I gave in an envelope the message of the Vatican for the Feast of the Sacrifice at end of the Ramadan and a small box of mint green tea. We sat with our three male hosts. The food was tasty and rich. We closed the meal with black tea. The conversation was lively: our respective lives, work, politics, soccer… One and the other went for a prayer at the end of the meal. Finally, after thanking the mistress of the house we moved at the invitation of our three male counterparts to the beautiful pastry parlour of the mosque. On the way we could admire the illuminated mosque in the night. We were happily surprised to meet Uncle Ali, the builder of the mosque and the boss of the pastry who sat at table with us. There was another round of very refined Turkish delights one of them being hot ice cream… The conversation became more spiritual. We need such table fellowship to anticipate the one at the end of the world when there will be universal love without discrimination of religion, race, gender, wealth or culture. We promised to follow up with other similar encounters even with the youth and during worship. We parted with a precious new memory in our hearts. 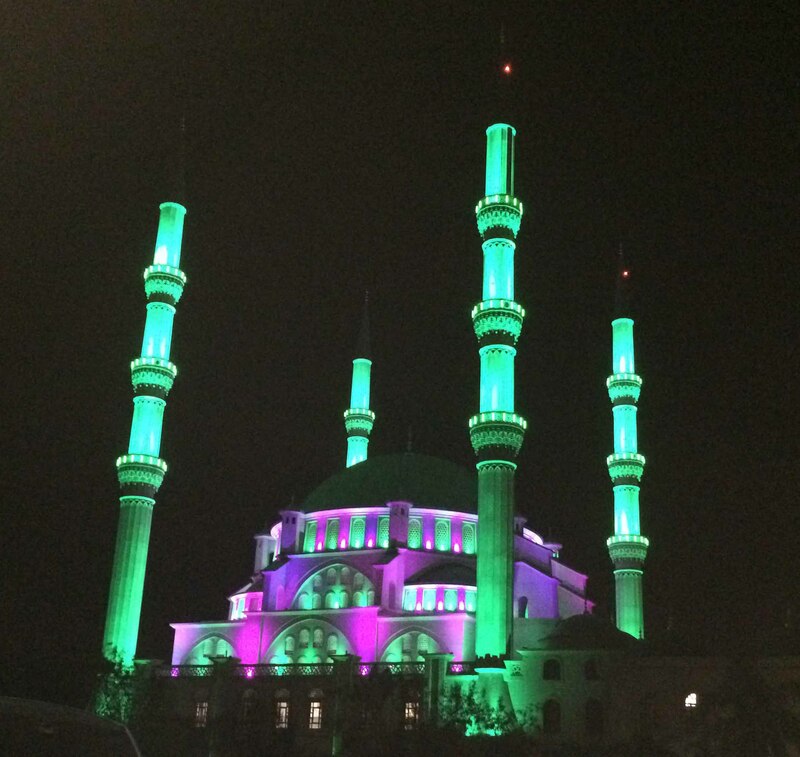 Link: Visit of Nizamiye mosque on Tuesday 5th July 2016. The South Africa Sector held its Post Capitular Assembly from Tuesday 14th February till Thursday 16th February. We thank especially Fr. Bill Turnbull, M.Afr., from the Malawi Sector for preparing our documents and for guiding us all through our Post Cap. Bill put a lot of effort into this event. He focused primarily on our fundamentals and foundation as Missionaries of Africa: our Spirituality-Charism and Community living, then looked at our Mission, with all its complexities of pastoral insertion; placing ourselves at the service of Africa at the existential peripheries; encountering and dialoguing with others, especially other faiths and Islam; addressing issues of poverty, corruption, land, racism and migrants, justice & peace and ecology. Even though we had three full days, it wasn’t enough to really address and process the issues affecting us in our mission here in South Africa. Despite our very diverse cultures, languages and ages etc., we could sense a real unity of purpose and direction in the spirit of the Chapter. We look forward to the final Provincial Strategic Plan to come from the upcoming Provincial Council to be held in a couple of weeks’ time. At the opening on Tuesday morning, following the Chapter’s example, we held a small ceremony of the lighting of candles which remained lit for the duration of our Post Cap. The candles represented the Father, Son and Holy Spirit, the Triune God, and we prayed this God guide us, and keep us united, through our sharing’s, discussions and deliberations. Bill composed three prayers which were read out as each of the three candles were lit. Each morning, as we opened our discussions, these candles were lit. One significant change of this Post Cap and the general Sector Meeting, which was held on the Monday before (13th Feb), was that we had a ‘paperless’, or ‘digital’ Post Cap. Basically, the only paper we used was the actual Chapter document itself. This was a first for our Sector and we will continue to be ecologically sensitive to how we run our meetings and gatherings. Everything was done on computer, using flash drives and projecting our documents onto a large screen. Feedback was done by a group spokesperson or secretary who typed up everything onto the group flash drive. This was then given to the moderator and to the Post Cap secretaries. We are happy that during this Post Cap we could begin to implement the call to be more ecologically sensitive. We pray for our Province of SAP, and we pray for each of the four Sectors. May we each be true witnessing Apostles and good stewards in our mission and service of Africa where we are – and may our Mother Mary, Queen of Africa, guide and direct all our actions to and through her beloved Son, our Lord Jesus Christ. May His Kingdom come. We celebrate our 150th Anniversary! The Society of the Missionaries of Africa (M.Afr) was founded in Algeria, in 1868 by Cardinal Charles Lavigerie, Archbishop of Algiers; he would later be-come Cardinal Lavigerie (July 1882). From the beginning, this new missionary society took the Arab dress: the “gandoura”, with, as a religious sign, a rosary worn like a necklace. This earned them the name “White Fathers”. 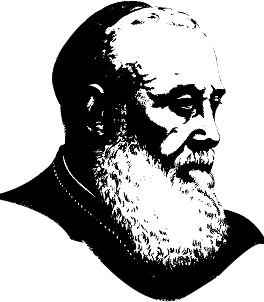 One year later, in 1869, Cardinal Lavigerie also founded the Congregation of the Missionary Sisters of Our Lady of Africa (MSOLA). Today, there are 1,232 Missionaries of Africa, from 37 Nationalities, working in 42 Countries, 22 of which are in Africa. They live in 217 communities; with a further 486 candidates at various stages of formation. At the request of the Malawi Catholic Bishops’ Conference, in 1969 the Missionaries of Africa finally came down to South Africa in order to minister to the 70,000 Malawian migrants working in the lucrative mines around Johannesburg, Rustenburg and Witbank. The Malawian Catholic Mine Chaplaincy soon became the Catholic Mine Chaplaincy as the first missionary communities answered the call of all migrant mine workers, drawn from the neighbouring countries, to have a Catholic presence in their mine. Twenty years later the mine chaplaincy was integrated into each Diocese, through parish structures. Our commitments over the years. As the Missionaries of Africa became more known; new requests for communities were sent to the General House in Rome. 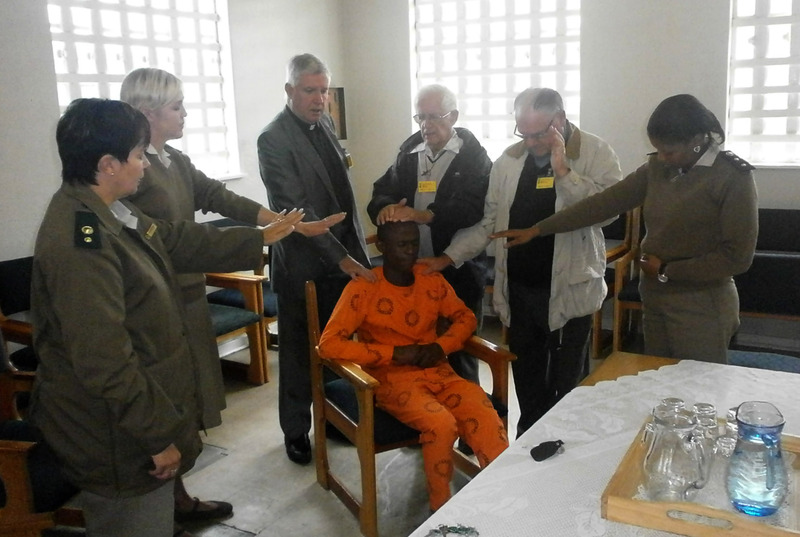 The response was positive, and in rather quick succession, missionary communities were founded in Bethlehem Diocese: Phuthaditjhaba/Qwaqwa and eventually Bohlokong; in Pretoria Archdiocese in the KwaNdebele region: Tweefontein, Siyabuswa and Diepsloot; in Witbank Diocese: Kamhlushwa, Malelane and eventually KwaGuqa; in Johannesburg Archdiocese: Soweto (Zola, Zondi, Emdeni and Protea North), Orange Farm, and later, Lenasia. 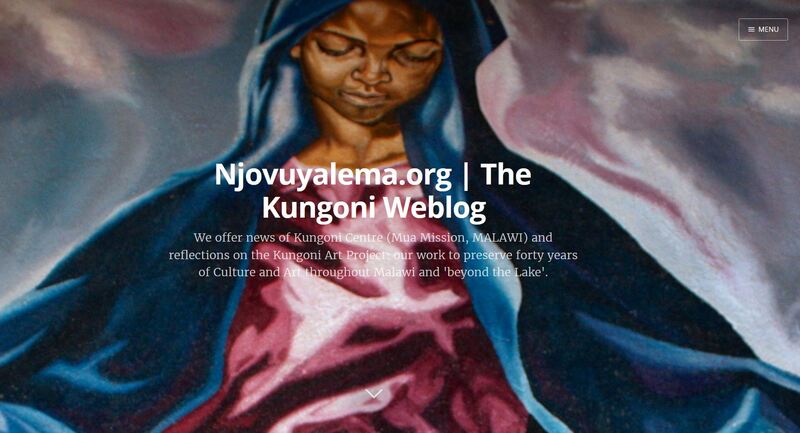 From 1998 to 2004, three of our Missionaries ran the Lumko Institute in Benoni. 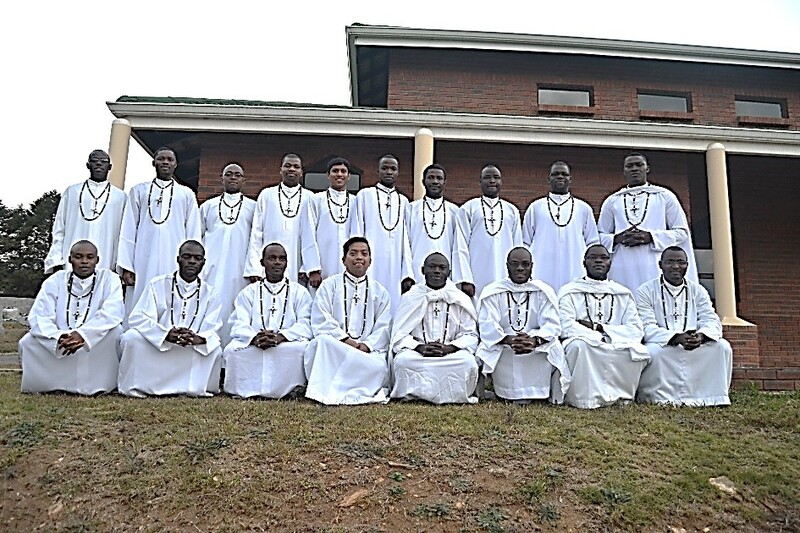 The most recent insertion is a formation house in Durban Archdiocese: Merri-vale has more than 30 theology students from various African countries who study theology at Cedara St. Joseph Institute. Furthermore, we have two parishes near Pietermaritsburg: Henley and KwaMpumuza. Our students enjoy going there for their weekend apostolate. A community in Edenglen, Johannesburg, acts as a hub for administration and vocation animation, while welcoming many visitors. At the same time, the priests of this community offer much appreciated services to local parishes, groups, schools and religious communities of that area and beyond. 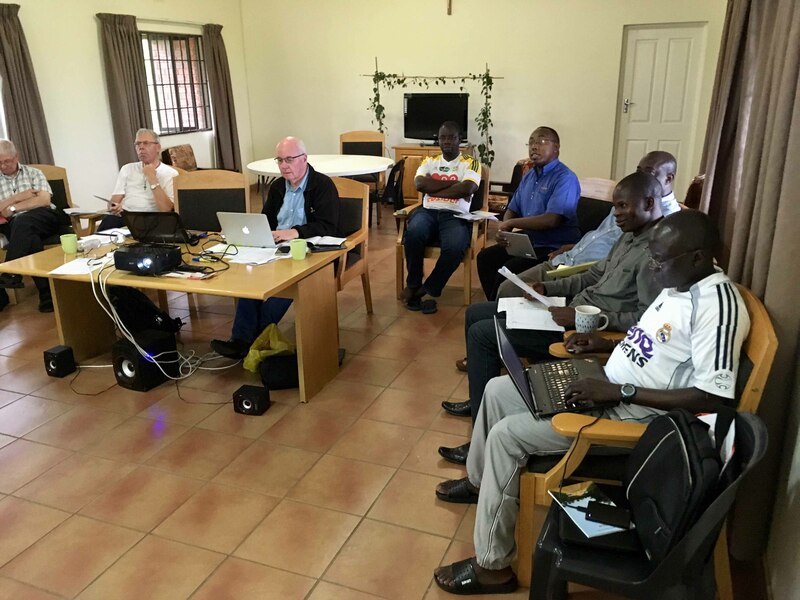 In their almost 50 years in South Africa (2019), the Missionaries of Africa living in communities, have tried to respond to requests for primary evangelisation, and moving on when the local Church has been established. Due to dwindling numbers and the maturity of the local Church in South Africa, today communities are found in the formation house in Merrivale, Henley, KwaMpumuza, Bethlehem, Lenasia and Edenglen; 17 confreres in all. The contribution has been modest but sincere; a missionary effort to building a vibrant local Church. The presence of a Formation House bodes well for the future and will ensure a Missionaries of Africa presence in South Africa for the foreseeable future. We sincerely hope and pray that this Jubilee celebration will finally arouse in some young men the desire of a true vocation as Missionaries of Africa. What a wonderful gift from the South African Church this would be to us! Please, pray for us! Missionaries of Africa, P.O. Box 10057, Edenglen 1613, South Africa. Tel: 011 452 5283. The Xaveri movement in South Africa. 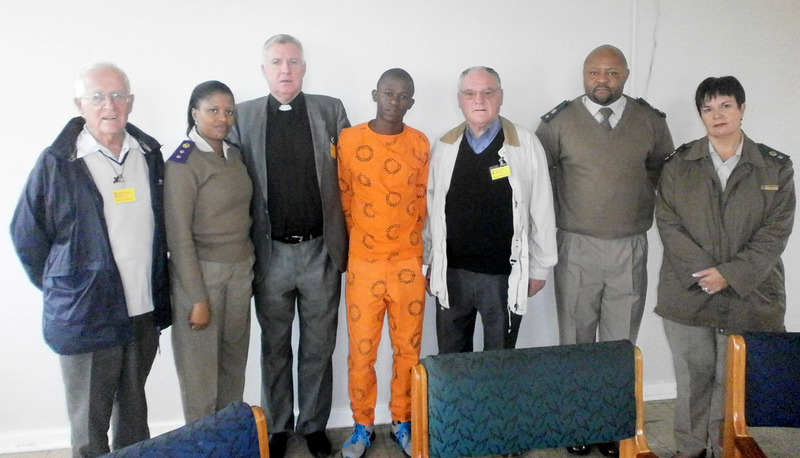 Recently, George Okwii, M.Afr, replaced Michel Meunier as Chaplain of the Xaveri movement based in Pretoria Archdiocese though Michel remains a member of the Board. This movement was founded in 1952 by late Father Georges Defour (+2012) in Bukavu in the Democratic Republic of Congo. There has always been a close link between the Xaveri and the Missionaries of Africa. In South Africa, Martin Mande, age 34, originally from Bukavu, initiated the movement in 2007 which has developed since then to reach Swaziland at Hlatikulu Christ the King Parish, Manzini Diocese. George Okwii, who knew the movement in Uganda, was also instrumental in setting up a branch in Henley-KwaMphumuza, Pietermaritzburg. Ministering now from Johannesburg, his chaplaincy with the Xaveri takes mostly place at the Cathedral of Pretoria. Hopefully, it will also spread over to Johannesburg. At the moment, the Xaveri movement is concentrating its activities around a choir, charitable works such as visiting the sick, social activities, bible studies and prayers. A special attention is also given in bringing together migrants or refugees with South-Africans. See below, the testimony of Mme Dudu, Matron of the movement in KwaZulu Natal. 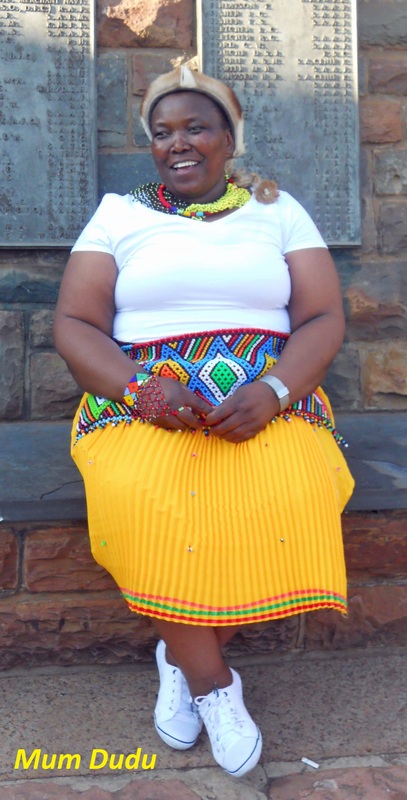 She is a lecturer at Durban University of Technology. A special celebration took place at Sunday Mass on the 25th September at the Cathedral of Pretoria with the blessing of medals given to some members who made their promise to serve Christ and one another. Def inition: The organisation is governed by its Constitution as an independent, non-political, non-Governmental, non-profit and educational organisation for boys, girls and adults open to all without distinction of origin, race or creed, in accordance with the purpose of bringing together young people in a congenial and happy atmosphere which is inspired by the spirit of healthy African Traditions. Aim: The aim of the organization is to contribute to the development of young people in achieving their full potentials as individuals, as responsible citizens and as members of society, to build up true human beings whose interior life is stimulated by the spirituality of non-violence and inspire to lead an active apostolate in their own environment. Principles: Love of God. Love of each other. Love of self. Method: The Xaveri Method is a system of progressive self-education through the membership of small groups involving, under adult guidance, progressive discovery and acceptance of responsibility and training towards self-government directed towards the development of character, and the acquisition of competence, self-reliance, dependability and capacities both to co-operate and to lead. Progressive and stimulating programmes of varied activities based on the interests of the participants, including games, useful skills, and services to the community and outdoors activities in contact with nature. Objectives: To help young people make positive choices to live their life to the full. To educate young people regarding good citizenship. To encourage and assist youth to develop their talents fully. To help youth to grow in awareness of correct spiritual, moral and cultural values so that they may incorporate these values in their lives. See on You Tube a video in French about Father Georges Defour. Visit of Nizamiye mosque on Tuesday 5th July 2016. As I do every year, I went to greet some Muslims during the Ramadan carrying with me a printed letter of good wishes written by the Pontifical Congregation for Interreligious Dialogue. That afternoon, I went with George Okwii, M.Afr, to visit the Nizamiye mosque that is probably the most welcoming mosque of Gauteng. It belongs to Turquoise Harmony Institute of famous Fethula Gulen accused recently of being the mastermind of a coup d’état in Turkey. Some compare him to Trotsky whereas Erdogan is associated to Stalin. We arrived during a prayer session. A young guide called Ali took care of us once the prayer was finished. Ali is from Soweto whose parents could not afford to pay for his studies. So he did his primary and secondary studies in the boarding school of Nizamiye. It follows the curriculum of South Africa while its pupils also memorise the Koran in two or three years. After learning all the rituals of Islam, Ali will be able to become an imam though he is following some courses at the university and act as a guide at the mosque. He received us in a beautiful reception hall made in Ottoman style. He showed us the small museum of the mosque where one can see beautiful pictures about Islam. One of them is a chilly letter from Prophet Mohamed asking some people to convert to Islam or else to be killed! Surely it was as self-defence in an age where interreligious dialogue was unknown. We then proceeded to the courtyard where one can see the lay out of the boarding school upstairs. We entered the mosque where an imam was reciting the Koran to a group of teenagers. The size of the building is about two third of the model in Turkey. Most materials were imported from that country even the builders and the craftsmen. Then we went to greet Ali Katircioglu, the founder of that mosque. The dialogue was a bit slow since Katircioglu communicates only in Turkish. Our guide Ali went to Turkey to learn that language but he is not yet fluent. We offered him the printed letter of good wishes from Rome written in English. His assistants translated it for him. We were invited to stay for the breaking of the fast. At ground level, there was a meeting for the Directors of the complex (mosque, school, clinic, shopping centre…) where elaborate food was on display. But we went to eat in the underground where about a hundred ordinary people were sharing simple food on a metallic tray. Some of them are South African Muslims who find it convenient to have their supper there. Others are illegal immigrants who are very grateful to have a free meal. We went home glad to experience once more that the Holy Spirit moves people of all creeds. Greetings! I hope you are keeping well and that this month has been an occasion to reflect and pray more on your vocation. 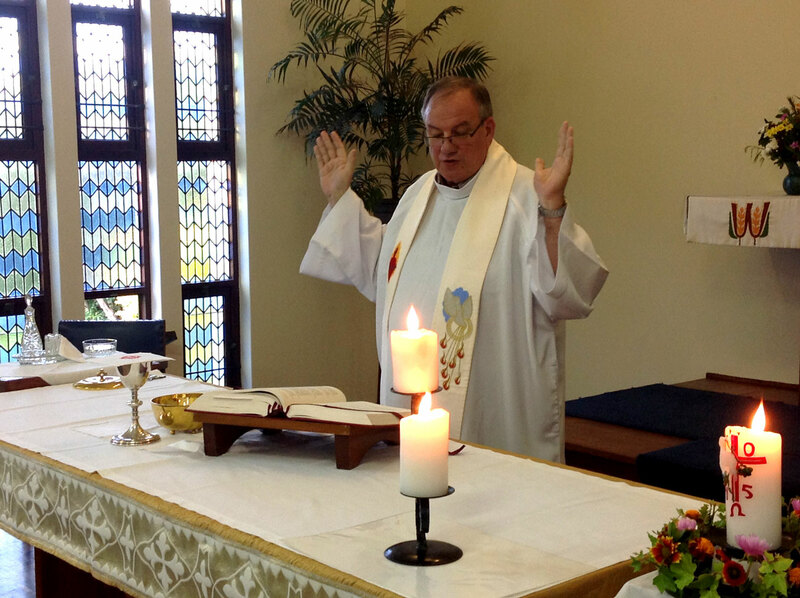 On April 17, the fourth Sunday of Easter, the Church celebrated the 53rd World Day of Prayer for Vocations. This year’s theme was: “The Church, Mother of Vocations”. Pope Francis wrote: ‘Each vocation in the Church has its origin in the compassionate gaze of Jesus.’ The Church – and don`t forget: you/we are the Church – is where vocations take their root. Pope Francis also writes in his message for Vocation Sunday: Vocations are born within the Church… Vocations grow within the Church… and… Vocations are sustained by the Church. If you belong to a lively and prayerful parish, you can discover your vocation in the context of that community: get involved in it and have regular contacts with your priest. Are you active in your parish community? Are you committed in helping its growth in one way or the other? If you find that your parish is not lively enough, talk with your priest and with elders of your community, get other youths together and DO something about it! This is a good way to be a missionary! From 25th to 27th of this month, I went to Thohoyandou in Limpopo to enquire and learn more about the life and death of Blessed Benedict Daswa. Indeed, last year when he was beatified on 13th September 2015, I was not able to go. I was very lucky to stay over with Blessed Benedict’s cousin who knew him very well. On the second day, we were joined by Sister Claudette, who, with a team of lay people, worked very hard to promote Benedict’s beatification. With the two of them, I had the chance to visit all the places where Benedict lived, taught and became a headmaster. We celebrated Mass in the small church which he built with the help of his learners and the local Christians. I met also many members of his family, some of his children and especially his dear mother who is now 90 years old. Blessed Daswa left a very memorable souvenir in the minds and hearts of most people not only of his area, but also of the whole of South Africa. He was a real saint who lived his catholic faith to the end, even to accepting death. He always fought for truth, and we all know that he died for having opposed witchcraft which causes so much harm in society. What is interesting about Benedict is that he was a very ordinary boy who grew up in a remote village of Limpopo in a very loving family; he was baptised as a catholic only when he was 17 years old he became a teacher, got married and fathered eight children. He became a real leader in his village, always guided by his catholic faith in action, and not only in words. He had a great love for all people, especially the youth whom he trained to become real good Christians and citizens. He can be a real inspiration and role model for each one of us. Pray through his intercession; ask him to help you discover your Christian vocation. My dear Friends, Greetings! I hope you are well. Today, as you receive this NEWSLETTER, most of us M.Afr are travelling to Merrivale, our house of formation, for two great celebrations. Indeed, six of our candidates will take their Missionary Oath tomorrow, Friday, and thus become fully fledged Missionaries of Africa. The following day, they will be ordained deacons! After their last year of theology, sometime toward the end of next year, they shall be ordained priests in their respective parishes of origin. But this being such an important occasion, some of their relatives have travelled to attend these two great events. Already yesterday, the parents and a nephew of our Tanzanian deacon-to-be, Konrad, arrived from Dar-es-Salaam. This afternoon, I will be driving with them to Merrivale. The others are Albert from Burkina Faso, Alphonse from Rwanda, Robin from Zambia, Damian from Uganda and Douglas from Kenya. I hope that we will have one or two good photos of them in the next Newsletter. You may be asking yourself “What is a missionary oath?” Well, here is a short explanation. We, Missionaries of Africa, are not a “religious congregation” as such. We are a “society of apostolic life” and we also live the three evangelical counsels of poverty, chastity and obedience; but we do not take vows. We promise to live a simple life style (poverty, or freedom from things), obedience to our superiors (freedom to serve), and chastity (freedom to love) in our missionary oath – which is a solemn promise on the Bible. Here is an extract of the text of our missionary oath: “… I promise and swear to the Superior General of the Society fidelity and obedience… to observe celibacy for the sake of the Kingdom.” I therefore ask you to keep in your prayers these six new Missionaries of Africa. I hope this month has been a blessed one for each of you. 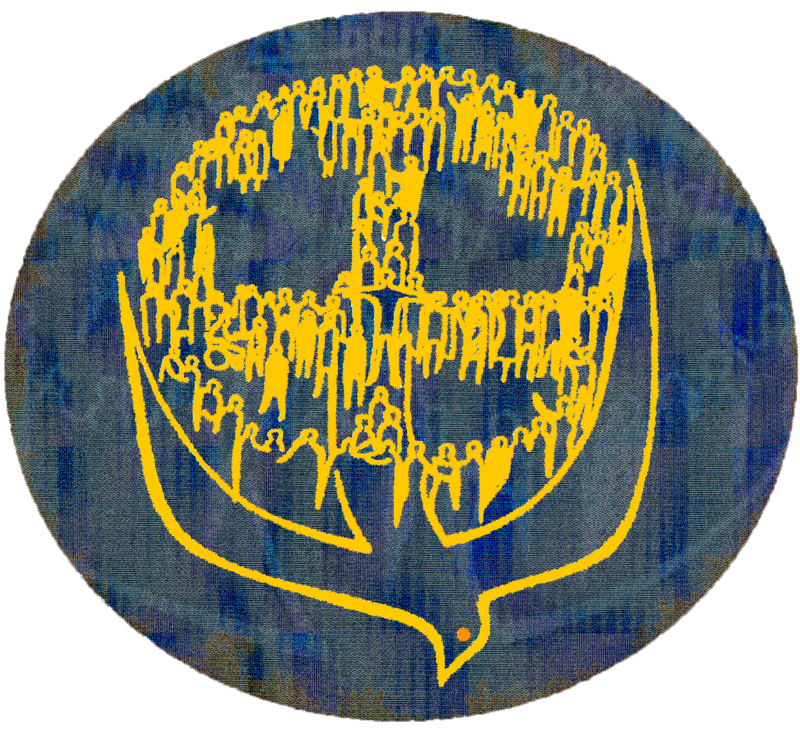 In spite of all the upheavals happening in the world, the students’ strikes and violent demonstrations, we can see some positive signs of life here and there in our society and throughout the world. Pope Francis is now in Kenya since yesterday. His coming to Africa – his first one – is under the sign of hope and peace to our broken world. Everywhere he goes, he brings a refreshing touch of joy, the joy of the Gospel. Let us pray that his visit in Kenya, then in Uganda and finally in the Central African Republic will sow seeds of peace among these nations of Africa and at the same time, be an inspiration to the rest of the world. Today is “Lavigerie Day”: yes, for us Missionaries of Africa and Missionary Sisters of Our Lady of Africa (MSOLA), we celebrate this as our FOUNDER’S DAY. Please, pray for us and for vocations. Thank you! In a few days, we shall start a new liturgical year, the year of the Church. The time of Advent is really an occasion for opening up to Jesus and our neighbours. Many people nowadays like to wish us “happy holiday” and they have forgotten the reason for the season: Jesus! When they greet you like this, be proud to answer firmly and proudly: HAPPY CHRISTMAS! Wishing you all a prayerful Advent and a very HAPPY CHRISTMAS! Sent by Raymond A. McQuarrie, M.Afr. My dear Friends, HAPPY CHRISTMAS! May the birth of the Son of God among us (Emmanuel) fill you with hope and joy! On 28th November, most of the M.Afr were in Merrivale to witness the missionary oath of one of our students from DR Congo, Serge Boroto. 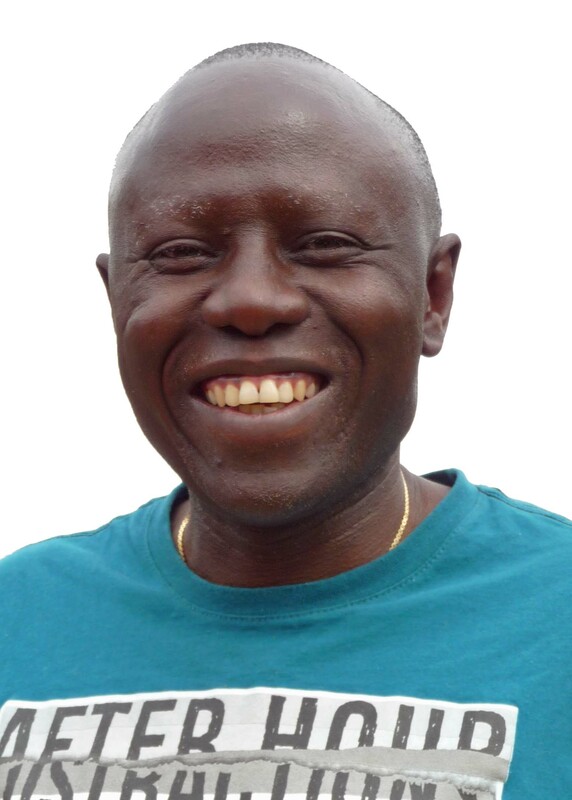 By taking his oath, Serge has become a full Missionary of Africa! The following day, Saturday morning at Henley Parish, he was ordained a deacon by our confrere Jan De Groef, Bishop of Bethlehem Diocese. Many of his relatives and friends came for the occasion and rejoiced with him and all of us for these happy events! Congratulations, Serge! We all pray for you to be a good and faithful servant of the Lord and of his Church in Africa! This month, I had a few contacts with some youth interested to join us. One who used to search his vocation with us, has abandoned the idea and is pursuing some other studies. Another one has gone to another religious congregation who are not missionaries. Two others have showed some interest, but are still unsure. Let us pray for them all. And those of you who have just written Matrics, we wish you all some good results. Wishing you all a very Blessed Christmas and a Happy New Year. 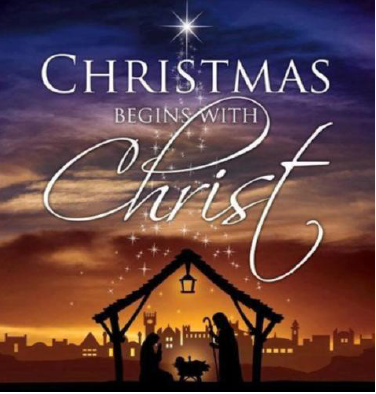 Above all, let us remember the real reason for Christmas! Indeed, this striking statement is found in the Decree on the Mission Activity of the Church, Ad Gentes, No 2. This should propel us into action with the realisation that such is our Mission in the Church: to go out of our sacristies and our rectories together with our parishioners and reach out to those at the peripheries, to use a favourite expression of Pope Francis. About two years ago, a group of Missionary Congregations/Institutes started to meet together in order to prepare the annual Mission Month (October). This year, with the approbation of his Grace Archbishop Buti Tlhagale, we have started planning for a Missionary Congress to take place on the last weekend of Mission Month, (Saturday & Sunday, 25th & 26th October). 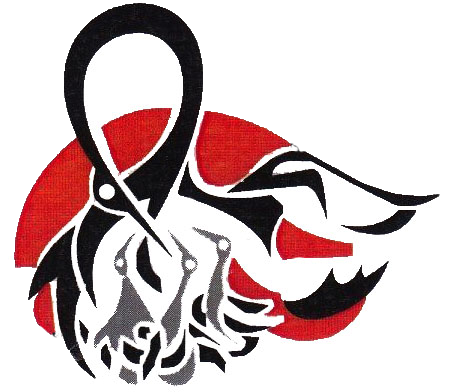 It will take place at St. Benedict’s School in Bedfordview. Our confrere Bishop Jan DeGroef has been a real source of inspiration for many aspects of the Congress (he is the Bishop in charge of the Department of Evangelisation for the Bishops’ Conference). Seán O’Leary will also give a conference on the situation of South Sudan. 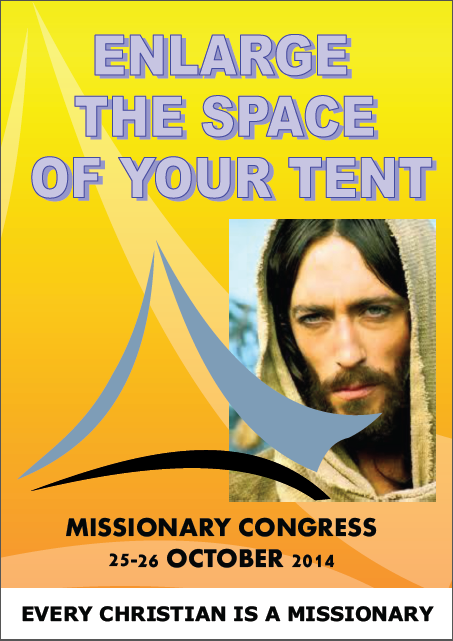 “Enlarge the space of your tent” (Isaiah 54:2) will be our main sub-theme. We shall base our presentations (talks, group discussions, liturgies, testimonies, PowerPoint/films, etc.) on Pope Francis’ Apostolic Exhortation Evangelii Gaudium. We will have very interesting and fiery testimonies by Missionaries (religious and lay) who are already very committed in their parishes here in South Africa or outside (ad extra). For the time being, I think these few pieces of info will give you an idea of what we are planning. I will write more later on. Vatican City (Agenzia Fides) – On February 2 , 2014, the Holy Father Rev. appointed Fr. 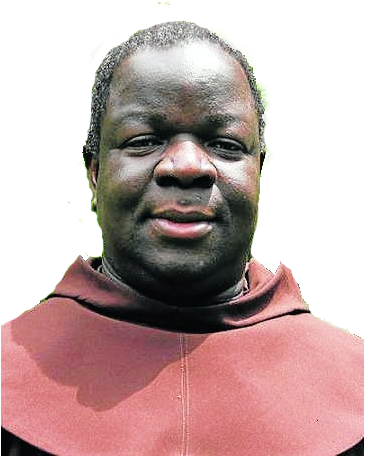 Vincent Mduduzi Zungu, O.F.M., Definitor General for Africa and the Middle East, in Rome as Bishop of the Diocese of Port Elizabeth (South Africa). Fr. Vincent Mduduzi Zungu, O.F.M., was born on April 28, 1966, in the village of Mbongolwane, in the Diocese of Eshowe. 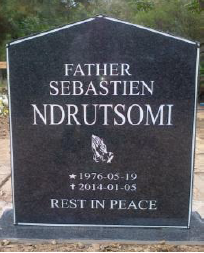 He studied Philosophy and Theology at St. John Vianney Major Seminary, in Pretoria. He entered the Franciscan Order on January 18, 1988. He obtained a Licentiate in Moral Theology at the Catholic University of Strasbourg, France (2001-2005). He was ordained a priest on July 8, 1995.